The latest Beethoven biography, by Jan Swafford, is on sale this month, $2.99 for the Kindle edition. Tyler Cowen says it is "As good or better than the classic biographies of the composer." He was perhaps RAW's favorite composer, but I listen to a lot of Beethoven, too. I bought it, but while I was trying to decide, I did a "search inside the book" on Amazon of the hardcover edition for the search term "Illuminati." Yup, 23 results! Hi, thanks for sharing. If you want to get an annotated bibliography, visit this website http://writing2me.com/catalog/service/annotated-bibliographies/. I think it's one of the best services which provides such a perfect quality. This biography is a little different from what I know. I recently ordered an essay on this topic https://academicsavers.com/book-review. 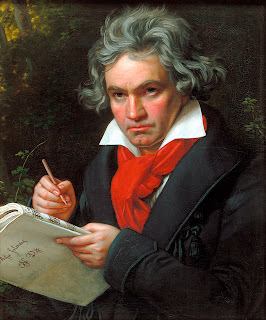 I think that you need to please make sure that this information, as my information has been verified and confirmed by some scholars who have studied the biography of Beethoven. After school graduation all students has problem with essay writing, want recommend you to try this http://paidpaper.net/term-paper-reviews/ and look for quality essay there. Try to, and I'm sure it will be useful for you. Good luck.